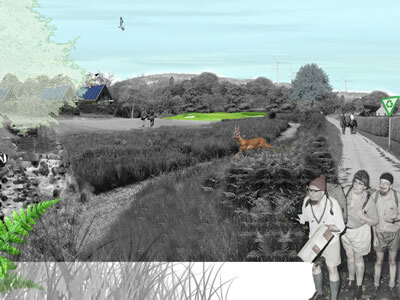 Rennie Design is a specialist international design practice based in Glasgow Scotland, focusing on Golf Course Architecture & Landscape Architecture as well as Private/Public Garden Design and Environmental Consultancy. Our varied professional experience and expertise allows us to carry out projects of any size from inception to completion. Rennie Design believes in building a strong professional relationship with the client team, which helps develop the optimum design solutions. Please do not hesitate to call for an informal consultation allowing you to gain an understanding of how Rennie Design can help you or your business. Alternatively delve further into the Rennie Design website for information on our varied capabilities.